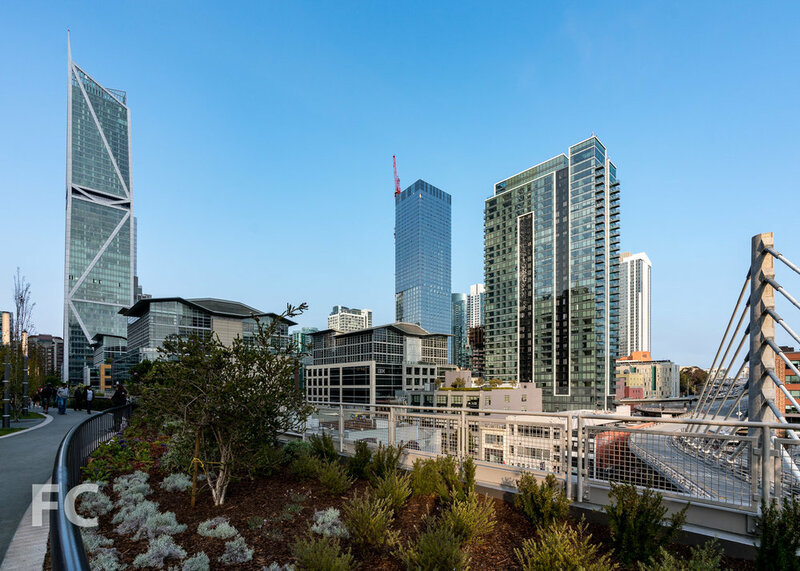 Facade installation is wrapping up at Related California's The Avery, a 56-story, 548-unit residential tower near the recently opened Transbay Transit Center in downtown San Francisco. Designed by Office of Metropolitan Architecture's New York office, the tower features an extruded tower massing shaped by facade setbacks and serrations. The serrations allow for an exponentially greater amount of corner units while also creating opportunities for dramatic moments of sunlight reflections at sunrise and sunset. Local firm Fougeron Architecture are responsible for the podium buildings at the base of the tower. When completed, the complex will offer 118 luxury condominiums on the upper floors and 280 luxury rental apartments and 150 affordable rental apartments on the lower floors. Closeup of the northwest corner of the tower. Looking up at the east facade of the tower. East facade of the base of the tower. West facade of the tower from the Transbay Transit Center's rooftop park. Closeup of the southwest corner of the tower. Sunset reflects off of the south facade. Southwest corner of the tower from the Transbay Transit Center's rooftop park. Architect: Office of Metropolitan Architecture (OMA NY) with Fougeron Architecture ; Developer: Related California with Tenderloin Neighborhood Development Corporation; Program: Residential Condo and Rental, Commercial; Location: San Francisco, CA; Completion: 2019.